CEOs and other executives spend a lot of time in their office. Or conference rooms. Top leaders largely live in spaces they own, if not literally, then figuratively. These are spaces we protect. The term “gatekeeper” speaks to how protective we are of our professional space. We guard it. Protect it. 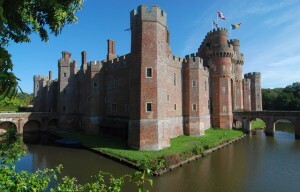 If we could, we’d build a moat and install a draw bridge. Some of us have protected our spaces even better than that. We’re locked down and loaded, allowing in only insiders or people we’ve invited. But this isn’t so much about physical space as it’s about emotional and psychological space. Head space. There’s a paradox happening. The more we protect our physical space, the more we close in our head space. It’s why new ideas can be so tough to come by. Or why we often feel stuck. Our field of vision is stuck. Our attention is stuck. We’re staring at the same walls, the same decor, the same people. We’ve protected our space and it’s the same day after day. Groundhog day is every day for many CEOs. Except unlike Bill Murray’s character, we don’t get repeated opportunities to get it right. We just get up day after day battling the same issues, confronting the same problems, unable to see our best opportunities because we’re stuck with this same field of vision (and the same soundstage, hearing the same stuff). Contrast that with getting out of your office to meet somebody new. Many of us can’t remember the last time we did it. We’ve got our friends, our direct reports, our team members and people associated with us professionally. It’s like we’ve hit our limit of people we’re willing to let in our lives. Maybe we’re introverted and it’s awkward to meet somebody new. Maybe we’re extroverted and we’re meeting lots of new people, but they’re just casual meet ‘n greet encounters without much depth. Or we’re more likely the ambiverts (those folks who are in the middle between introverted and extroverted) who just do what we’ve been doing. Unless something jolts us out of our routine, we stick with it. Doing what we always did. Enter social media and the magic that happens. Five to ten years ago I rarely encountered a top leader who understood the value of social media. Most would say, “I don’t get Facebook. Why would anybody want to post crap on Facebook?” Of course, these same people didn’t use SMS texting either. Today, they regularly use both and don’t think twice about it. In fact, I regularly encounter CEOs and other top leaders who confess they use their cell phone more for texting than talking. That’s how our culture’s adoption of technology changes our behavior. It happens whether we understand it or not – at first. Sitting at his desk a CEO may go over to the company’s Facebook page to see if any customers have posted something. Over the course of 15 minutes his behavior is drastically changed. He’s open. He’s available. Maybe he directly responds to people on Twitter, Facebook or Linkedin. He’s open and expansive. All while he’s locked down inside his office. He logs off and more magic happens. That openness and expansive feeling is gone now. He’s back inside the castle surrounded by the moat. Back to the mindset of life inside the castle. Except this isn’t Camelot and he’s not King Arthur. No, I’m not urging you to become an air-head, but I am saying you need some space inside your head (and your life). One, because your perspective will never change until you do. The walls inside your fortress are the same, day after day. Same desk. Same furniture. Same decor. All the same. Have you ever examined your habits? I mean really closely examined them? Well, do that. Jot down what you do the moment you get up in the morning. Do it just until noon. Write down a word or four to describe what you’re doing. Don’t fret about what you’re thinking. Let’s keep it really simple. For now. And don’t pick a day where you’ve got a trip or some other non-typical work schedule. Pick a day like most days. If you get up at 6am, then you’ll have listed all the things you’ve done – from the smallest to the largest – until noon. Six hours of actions. Six hours of behaviors. For just a single day. Now look at the list. Carefully think about it. Do you suppose that one day’s list is typical? You know the true answer. Is that day an outlier or does it accurately depict what happens most every day? Your perspective is driven by what you do. What you do is driven by many auto-pilot decisions. Those auto-pilot decisions are good (mostly) because they prevent you from having to consciously think about all the little decisions you face every single minute and hour. You don’t think about waking up and relieving your bladder. Or brushing your teeth. Or what you’ll wear (even if you make a choice you don’t likely overthink it unless it’s a special day). Or the route you take to work. It’s like you’re sleep walking through life, but you’re awake. Habits drive your behavior and it’s based on your perspective. And it fuels your perspective to continue. That’s why we mostly think what we think and feel what we feel. Seldom does it change! Many of us aren’t interested in making a change. We’re comfortable with our perspective and our daily habits. Mostly, they’re fine and serve us well. But sometimes benefits turn into problems. A stuck perspective can hurt us by preventing us from considering things we’ve never before considered. Two, because once you consider a different perspective, you consider new alternatives. It’s happened to you before. Maybe traffic prevented you from taking your usual route to work. You’ve taken this other route before, but it’s been a long time. As you drive along, it’s a new route and you start looking more closely at the surroundings. You notice a restaurant you’ve never noticed before and wonder if it has always been there, or is it new? You notice it because it’s a restaurant that serves your favorite food. Your attention is heightened because you’re on a different path to work this morning. Curiosity and unfamiliarity are forcing you to pay closer attention. All because your usual route was clogged this morning. The same thing happens to us personally and professionally. We see different things when we get outside of our head – and our routines. We consider different solutions and see new opportunities. It’s happened to us before, but we mostly resist it. We intentionally surround ourselves with our people – birds of a feather and all that. We talk to the same people, listen to the same stuff, read the same books, pay attention to the same industry experts. Group think overpowers most of us because we do what we do and rarely do anything different. Three, because once we break outside of our head, we break outside of our space and we expand. It’s called growth. The most honest CEOs admit they enjoy being comfortable. Who doesn’t? We all want to be comfortable. Only the craziest among us would seek out discomfort. Yet, sometimes momentarily discomfort can pay off bigtime. It happens when we’re sick and go to the doctor. The tests and the treatment may be uncomfortable, but before long they begin to pay off. We feel much better. When you’re sick and feeling badly, you don’t much care if there’s some additional discomfort. Which is why we sometimes work hard to avoid discomfort when we’re not sick. Ask any CEO about an annual physical exam. We hate them. We’re not sick. Why do we need to do this? Don’t wait until it’s trading one pain for another. Don’t wait until your uncomfortable already. There’s value in embracing a degree (and I emphasize DEGREE) a discomfort so we can expand and grow. It requires intentional decisions to grow. That takes courage, humility and determination. It also takes an openness to admit we can grow into a better version of ourselves. Everybody has room to grow. Doesn’t it make sense that top performers – folks like you (CEOs and other top leaders) – may even have a higher capacity for growth? It’s not about you being a better human being than everybody else at the office. It’s about a simple business idea: an asset or resource. This one happens to of the human variety. YOU. Expanding your connections expands your life. It expands your thinking. It provides you valuable changes in perspective. It expands your ability to see opportunities and challenges. 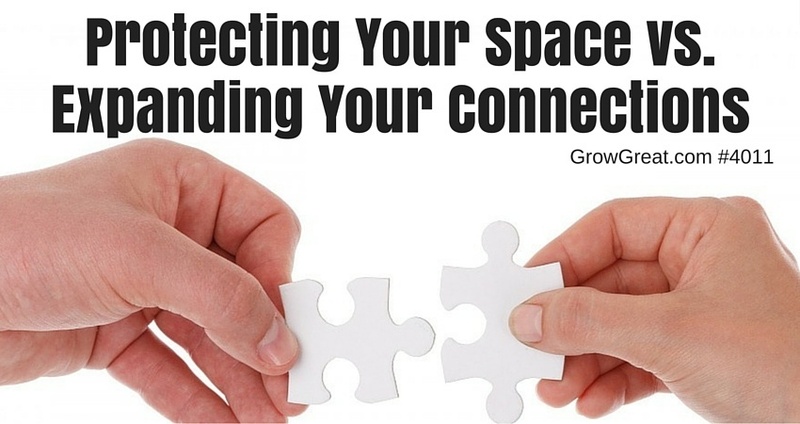 Protecting your space has value, but it hinders all that expansion. If you go all in on protection you’ll miss out on all the expansion that’s possible – and profitable. That usually prompts some rambling and back tracking as they hunt for words to make it not sound as bad it sounds. But it is that bad. And that’s the problem. It’s very bad. As the top leader YOU are the most important human asset in the company. Again, it doesn’t make you better than anybody else. It’s just true. You’re the most important player on the roster. Like a star quarterback, you have the biggest impact on the performance of the entire team. Just consider the people you impact. Suppose you have 8 direct reports. Suppose those 8 direct reports each have 3 direct reports. That’s 24 executives or leaders who are directly impacted by YOU. Let’s say there are another 65 employees. We’re now up to 89 people whose professional lives are impacted by YOU. Now let’s add all our suppliers, vendors, partners and others who help us do what we do, but they’re not directly employed by our company. Let’s say you’ve got 35 suppliers, four financial partners and 11 service professionals or other partners. That’s 50 outside partnerships that are impacted by YOU. Those aren’t people – they’re organizations or companies. They represent far more people than just 50. And we’re not yet counting customers! How many of those do you have? And we’re not counting the family members of your employees? How many of those are there? See what I mean? YOU have a direct impact on hundreds or thousands of people. The ripple effect of your growth – or lack of it – is enormous. I’m not trying to make you think more highly of yourself than you should. This isn’t an ego thing. It’s a business, mathematical thing. It’s quantifiable and real. If you don’t grow, all those people’s lives are negatively impacted. If you grow, they’re all positively impacted. Some more. Some less. But all of them are influenced by your behavior, your decisions and even your mood. As a business person, if I could offer you a 24x ROI you’d chase me down and make me give you that opportunity because you’ve got no opportunity like that. Those 24 executives in your organization (your 8 direct reports and their 3 direct reports each) represent the 24x. You represent the investment. There’s one of you and 24 of them. Invest one dollar in yourself – one dollar set aside to make you better. One dollar to help you expand your connections and improve your perspective…and 24 people feel the impact. If the #1 employee in the company isn’t worth an investment, then who is? And there’s another reason why you – the CEO – have the biggest ROI on personal development. CEOs and other top leaders are top performers. Have you ever taken an employee who is doing poorly and put them on a performance improvement plan (PIP)? Sure. We’ve all done it. Sometimes it works. Sometimes it doesn’t. Because the person is in control of their own behavior. Some choose to listen and comply. Others choose not to. Assume a person complies. Their performance is so weak it’s put their job at risk. What kind of of an improvement – expressed as a percentage – do you need to see before they’re off the hot seat? Twenty five percent? Thirty five percent? Fifty percent? It’s likely a big improvement, else you wouldn’t have put them on a PIP. You’re the CEO. You’re a top performer, a high achiever. A dollar invested in the person on a PIP may be wasted, or it may pay off slightly. It’ll be small, even if it helps the person turn their performance around. Is a 1% improvement in your performance equal to a double digit improvement in some other people on your team? YES, it is. Take any thoroughbred race horse capable of running competitively at the track. Compare that horse with any run of the mill horse (the kind we see in pastures around here). If a trainer can get a 1% improvement in that race horse, do you suppose that’s infinitely more valuable than a trainer getting a 25% improvement in that pasture horse? There’s no comparison. Invest in your own expansion. Grow. Get out of your protection mode. It’s not taking a chance, it’s taking an opportunity. It’s making sure you continue to grow and develop because all the people in your life need it. They deserve it. Next post: 4012 Yoda’s An Idiot. Attempts Do Matter!